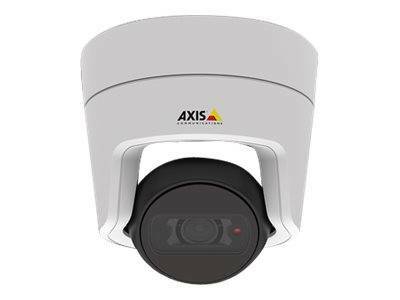 AXIS M3106-L Mk II is a flexible mini dome that gives you built-in IR illumination and 4 MP video quality at an attractive price. Our best-in-class product, it's perfect at the back entrance of a store or hotel, for instance. More light - or less? With its built-in IR illumination AXIS M3106-L Mk II is ideal for situations where it's sometimes dark or the lighting can be poor. Its innovative flat-faced design suppresses light reflections to maximize image usability when recording in the dark. AXIS M3106-L Mk II also offers Wide Dynamic Range (WDR) for excellent detail when light levels vary greatly, for example, at entrances with bright daylight outside and dimmer light inside. AXIS M3106-L Mk II gives you sharp 4 MP image quality and a field of view of up to 130°. It features Axis Zipstream technology, enhanced with H.265 support as an option to H.264. Zipstream greatly reduces storage and bandwidth needs, while capturing important details in full image quality. 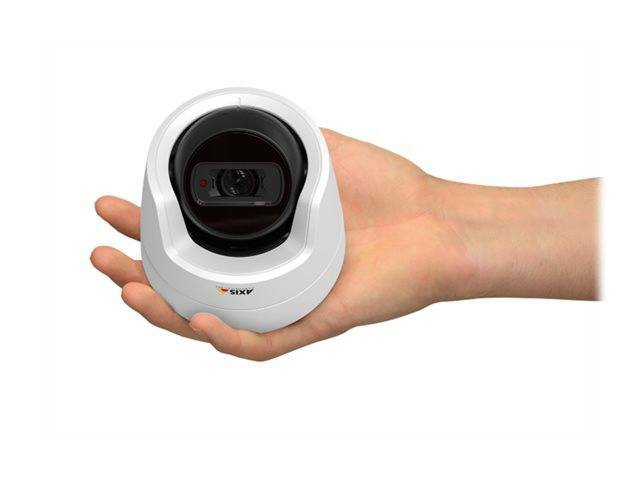 AXIS M3106-L Mk II also supports video analytics such as Video Motion Detection and Active tampering alarm. Thanks to the AXIS Camera Application Platform, you can also choose to install AXIS Cross Line Detection, and AXIS Digital Autotracking, as well as third-party analytics solutions such as people counting. Small and flexible, AXIS M3106-L Mk II can be mounted on walls or ceiling as you prefer. Its smart design makes it easy to repaint to fit into any environment. And a long list of accessories, including black casing and various mounting kits, means it can be put up just about anywhere. Type 4 MP CMOS 1/3"